We are a small team of people based in the UK who enjoy searching everyday for the next great find to add to your homes. We source our items from all over the world, from leading manufacturers to small family run independent business creating unique collections. 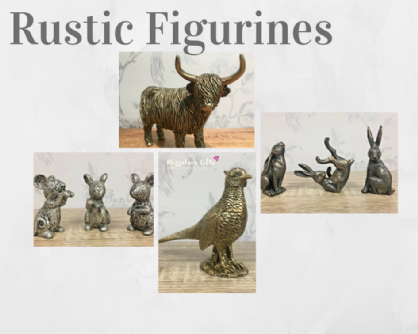 Here at Mezzaluna Gifts we endeavour to offer our customers quality decorative home furnishings and collectable figurines at affordable prices. All of our products we carefully select in-house ensuring each item is of the level of quality we would put in our own homes and give to our friends and family as gifts. Whatever your style, space or theme our soft furnishings, clocks and decorative homewares and accessories will add a splash of colour and personality to your space. Transform a room with one of our beautiful clocks, a large quirky piece of wall art, a super cute animal door stop or a classic figurine perfect for the fireplace. The Mezzaluna team keep up to date with the latest trends and fashions but never overlooking traditional, classic and timeless pieces which will never go out of style. We use a range of couriers and postal services to deliver our goods to you, we will advise the service carrier used along with tracking details if applicable so that you can track your order. Orders Before 1:00 PM (Monday - Friday) are sent out on a Next Working Day or 3-5 working day delivery service dependent upon your shipping selection (Next Day orders placed on Friday will be delivered on the next working day which is Monday excluding bank holidays). A signature will be required at time of delivery, if you are not home at time of delivery the delivery person will card your address for you to rearrange delivery and may try your neighbour in your absence. If delivery is reattempted 3 times without successful delivery the item will be returned to us and incur a £6.95 charge for the item/s to be shipped again. Goods cannot be left on the property, we can deliver to work addresses etc should you require and if so please advise at time of order. For delivery to the following post codes and locations please allow 5-7 working days for delivery, at this time Next Day delivery is not available to these locations.